Microsoft saw a significant opportunity—entire retail environments full of display devices that could better serve customers and retail pros. Whether developed but never launched or live and underperforming, the existing lineup of demo applications had fallen short. A pivot needed to happen—fast. EFM partnered with the Microsoft retail demo experience team to unlock the full potential of in-store display devices. What began with our first Universal Windows Platform (UWP) application, soon turned into over 10 applications—each translated into 32 languages and deployed globally. As our partnership with Microsoft continues to grow, we’re pushing the boundaries to what the modern retail environment can do for both brands and consumers. Couldn't stop at one, we’ve built ten apps and counting. In just one year, EFM deployed a series of applications to meet the needs of retailers and Channel Marketing teams. 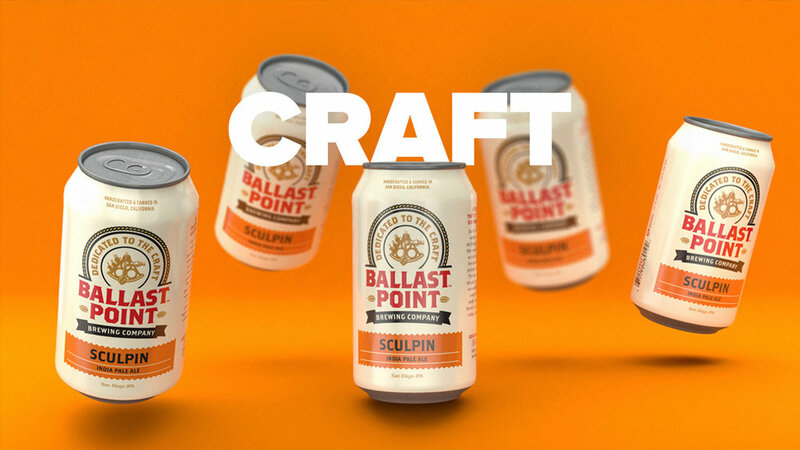 This included everything from interactive demos for Paint 3D, Office 365, and Windows Mixed Reality, to eye-catching brand installations, and even a new platform for Surface products. With each challenge, we transformed display screens into powerful tools for education, exploration, and ultimately, sales. Sometimes, we started from a blank slate. Other times, we collaborated with our clients to build upon their initial thoughts. 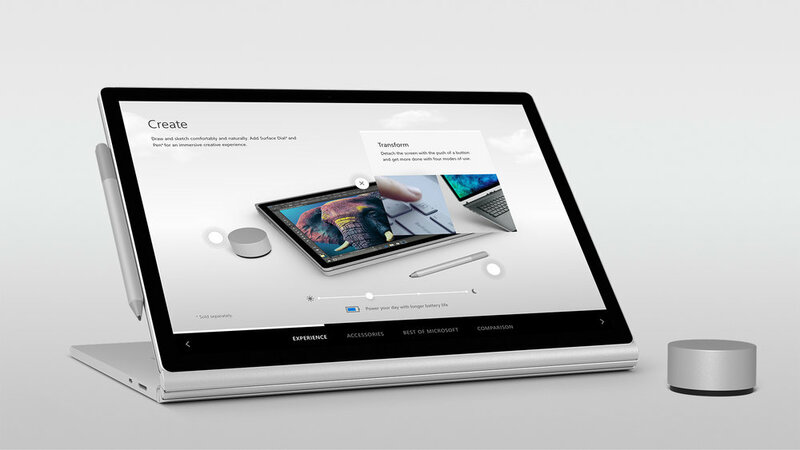 At each stage of the process—strategy through UX, UI, content, and development—we proved ourselves to be the partner Microsoft could trust to execute their vision from start to finish. The first demo experience we built for Microsoft invited shoppers to get creative with Office 365 and Paint 3D. This meant replicating the functionality of these powerful tools in demo documents that allowed customers to jump right in and start creating. No limits in digital movement. 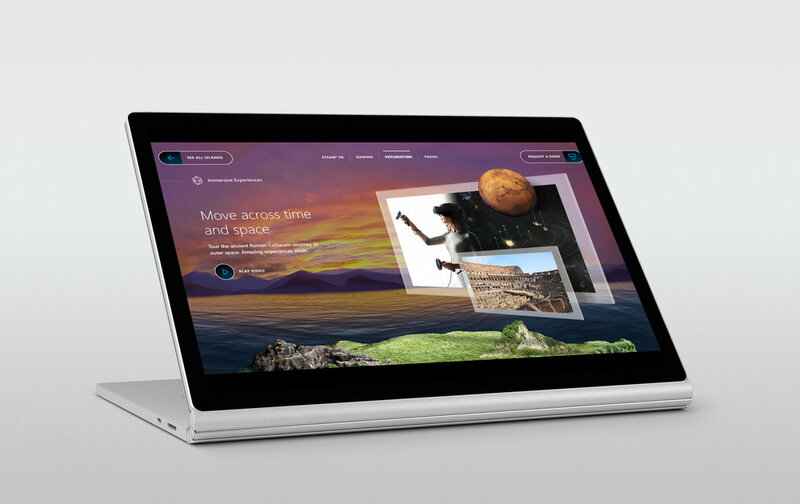 The Surface Premium Experience (SPE) was a collaborative effort with Microsoft to test the theory of not only harmonizing all the digital screens together, but moving visual content across the display. We built our first prototype within weeks for the Consumer Electronic Show (CES) which was met with positive feedback. 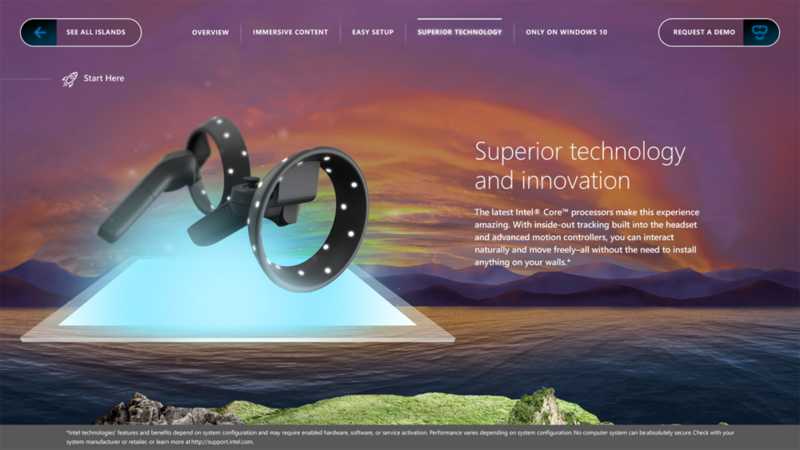 Since CES, we’ve re-engineered the applications for retail environments, and are currently seeding in test markets. 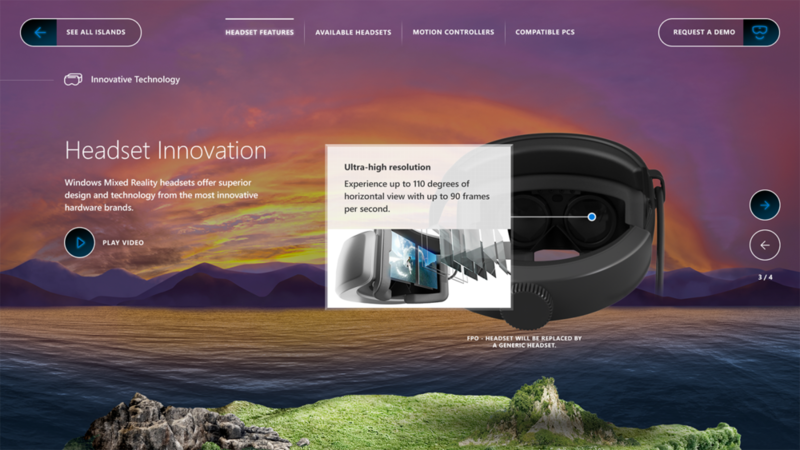 We presented a glimpse inside the immersive worlds on the other side of Windows Mixed Reality (WMR) headsets to get shoppers excited about experiencing WMR for themselves. As a very hands-on product, Microsoft required an unassisted sales tool to introduce the capabilities of this alternate reality. 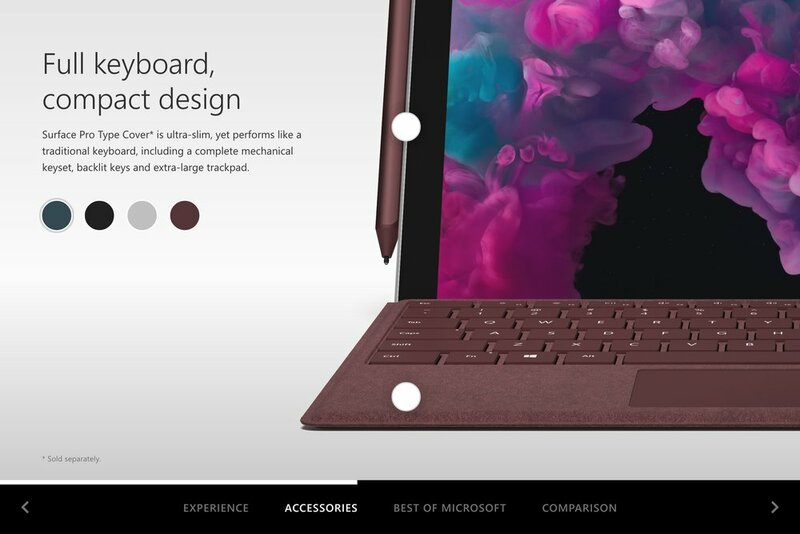 There’s a Surface for everyone. We created a suite of retail demo experiences to showcase the unique features and benefits of every product in this amazing lineup. All to help customers find their perfect Surface. Developed to spec, made to adapt. 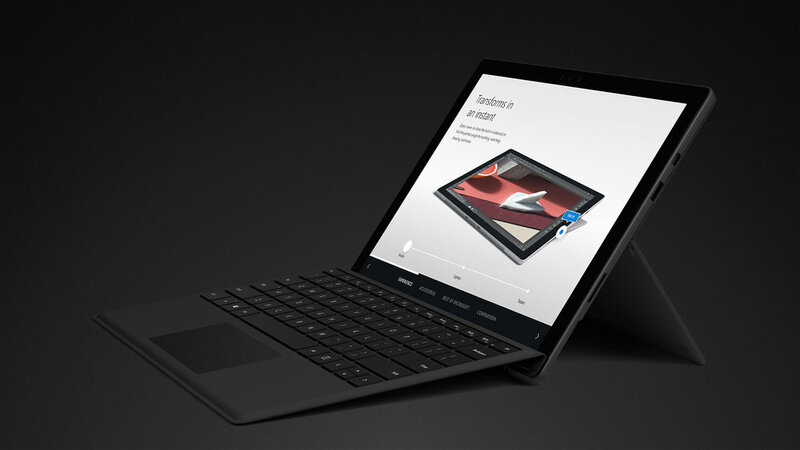 EFM builds Universal Windows Platform (UWP) applications according to exact Microsoft specifications, which allows for launch via the Microsoft Store and the brand’s proprietary content management system. Our applications can also be easily updated, with new content deployed remotely to retail devices everywhere. Working hand-in-hand with Microsoft’s engineering teams and third-party partners, our developers account for all retailer- and region-specific requirements. This way, every single launch is a success.